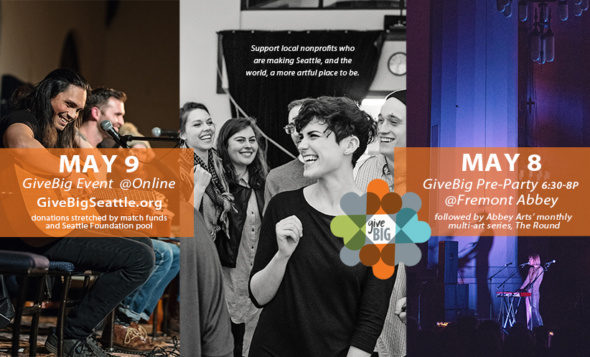 Support local nonprofits who are making Seattle, and the world, a more artful place to be. Join us for a Give Big pre-party on Tuesday night to help boost nonprofits working in the community, including First Aid Arts, and Yoga Behind Bars. Can’t make it to the party? Schedule your GiveBig donation now!